CDC officials are not recommending any changes in a travels plans as a result of MERS. (Bloomberg) – U.S. public health authorities say they have learned about a second case of Middle East respiratory syndrome (MERS) – a potentially deadly viral illness – appearing in the United States. 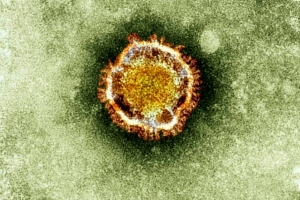 A patient infected with the MERS coronavirus case turned up in Orlando, Fla., according to the Centers for Disease Control and Prevention (CDC). The patient in Florida is a health care worker who had come to the United States from Saudi Arabia, is now in the hospital, and is doing well, CDC officials said. The first known U.S. MERS case occurred in an Indiana health care worker who returned from Riyadh, Saudi Arabia, on April 24, CDC officials said. The Florida traveler has no known connection with the Indiana traveler. The MERS-CoV coronavirus had infected at least 538 people and killed 145, officials said. Health authorities in 12 countries have confirmed treating patients with MERS. The virus causes respiratory distress, coughing and fever. Little is know about its origin, and there is no vaccine or cure. Members of the World Health Organization’s emergency committee will meet tomorrow to decide whether MERS should be declared a public health emergency of international concern. The Indiana patient, a man who hasn’t been identified by federal or state authorities, was placed in isolation at Community Hospital in Munster, Ind., after being admitted on April 28. He recovered fully, and the hospital released him Saturday, Indiana health officials said in a statement. “The patient has tested negative for MERS, is no longer symptomatic and poses no threat to the community,” Alan Kumar, chief medical information officer for the hospital, said in the statement. CDC officials say they do not recommend that people change travel plans because of MERS. Officials are recommending that health care workers in Saudi Arabia and nearby countries take extra precautions. –With assistance from Simeon Bennett in Geneva.